The importance of physical fitness remains constant even if the season changes. So whether the weather is cold or warm, it would be wise to start a regular exercise program and keep a balanced diet. Working with a certified physical fitness trainer has a multitude of benefits that you won’t have when you work out alone at home. Your personal trainer is the one responsible for strategically designing a customized workout plan based on your current fitness level. Having a trainer who guides you in the right routines also means having a strong support system to provide you with motivation for achieving better and faster results. Many members of the health club have already discovered and experienced the benefits of physical fitness programs in Canton, MA. Whether your goal is to improve your overall health and wellness or to learn about weight management options, Answer is Fitness has the perfect programs to get you started and get you the results you want regardless of what season you begin your personal training. 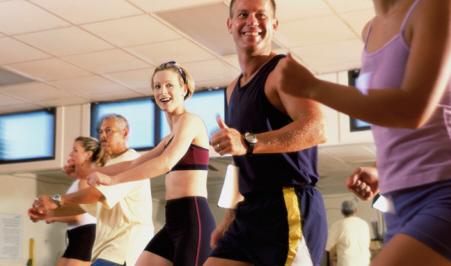 To live a healthier lifestyle starting this spring, schedule a consultation at Answer is Fitness.